Why Is Georgia About to Pass a Law That Will Make It Easier to Send Poor People to Prison? After extensive lobbying, the private probation industry is poised to wield ever more power over Georgia’s debtors. Men and women in orange jumpsuits shuffled into the courtroom in Augusta, Georgia, their wrists and ankles bound by heavy shackles, one day in October 2012. Many had arrived there not because they had committed a new crime, but because they could not keep up with payments to the private probation company contracted to collect their court debt. Most of the crimes that started them on this road were small—traffic offenses like switched tags and driving without a license, most of which are misdemeanors in Georgia. But their punishment quickly ballooned after they did not keep up with payments, leading the poorest to be punished more heavily simply because they have less. Now, a bill headed to Georgia Governor Nathan Deal’s desk would give unprecedented new power to the private probation industry driving this statewide system. It’s an industry, say human rights advocates, that has made millions profiting off the state’s poorest residents. Vigorous lobbying by the private probation industry helped shape the bill. Originally conceived as an attempt to clarify the state’s approach to private probation, the bill instead pumps new energy into the system, by, among other things, allowing judges to extend probation terms for years and forcing low-level offenders to pay the daily costs of electronic monitoring. Private probation in Georgia has been fraught from the start. In 2000, the state passed a bill eliminating county-run misdemeanor probation, opening the door for private probation companies to take their place. It also sent Bobby Whitworth, then chair of the state Board of Pardons and Paroles, to jail for public corruption. He was convicted of accepting money from a private probation company in exchange for influencing the passage of the legislation. For over a decade, the original Georgia law has permitted private companies to supervise between 260,000 and 300,000 people a year convicted of misdemeanor crimes, which in Georgia includes most traffic violations. Many end up on probation after convictions for relatively minor infractions—a speeding ticket or shoplifting. If they cannot pay their fine in full on their day in court, a judge may sentence them to probation with a private company, which collects the fine over time for a monthly fee—generally about $45 a month. This means the poorest residents can end up paying hundreds of extra dollars for their crime. A recent report from Human Rights Watch estimated companies in Georgia rake in $40 million in probation fees each year. In 1983, the Supreme Court declared that it is unconstitutional to jail a probationer for failure to pay a fine without first inquiring into their ability to pay. But as we reported in “The Town that Turned Poverty Into a Prison Sentence,” state and local courts routinely lock up poor probationers because they cannot keep up with payments to the probation company or the court. 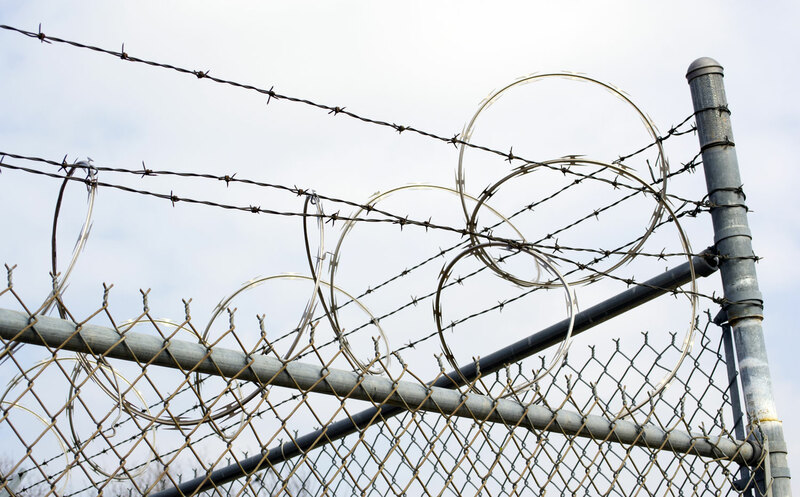 In some cases, probationers can languish behind bars for weeks or months. Current law in Georgia stops short of giving private companies the full powers of state felony probation systems. However, this bill would change that, granting judges the ability to “toll,” or extend, private probation sentences beyond their original date, effectively removing any limit to the amount of time a person can be on probation. It would also explicitly permit electronic monitoring for misdemeanor offenders. In practice, this already occurs, and has proven to be another key profit stream for companies. People on private probation with Sentinel Offender Services in Augusta, for example, pay between $6 and $12 a day to sport electronic ankle monitors in addition to paying their monthly fees to the companies and the fines that landed them on probation in the first place. As troubling, the final version of the bill shields private probation companies from many of Georgia’s public records disclosure laws, much as exemptions from sunshine laws protect private prison companies. The public will now be unable to obtain information about the number of warrants served and the amount of fines collected. And while probationers are allowed to request copies of their records every three months, they will not, under the legislation, be allowed to view their case notes. “The legislature now seems poised to pass legislation that would only help entrench the lack of accountability the industry enjoys today,” wrote Chris Albin-Lackey, senior researcher for the Business and Human Rights program at Human Rights Watch, in a recent blog post. The legislation comes in response to a series of lawsuits filed since 2012 in Augusta that claimed that poor probationers with Sentinel Offender Services were unconstitutionally jailed for failing to pay fines. Sentinel is one of the largest private probation companies in the United States. In a number of the lawsuits, brought by the office of local attorney John “Jack” Long, probationers remained in jail for weeks or months after being sentenced to electronic monitoring because they could not afford the fees, or did not have a landline required to start on the system (landlines are often used to transmit data to monitoring devices). In one case cited by Human Rights Watch, one man sentenced to probation for stealing a $2 can of beer sold his plasma to pay his probation fees. When he fell behind, he was jailed. The suits also claimed that state law did not allow for “tolling” or the use of electronic monitoring in private probation cases. Last year, Richmond County Superior Court Judge Daniel Craig agreed on those counts, ruling that extending a private probation sentence beyond its original date was against the law, as was the use of electronic monitoring in probation cases. HB837 was the response. Companies reportedly lobbied heavily for the bill. A top Sentinel executive testified in a deposition last year that the California-based company hired one of the state’s top law firms to help with the effort, most notably by introducing legislation to “help clarify some of the day-to-day operational items that we wanted to get cleaned up in the language.” It's unclear how much Sentinel spent on those lobbying efforts. Some judges joined the effort to push the legislation, according to sources familiar with the efforts. The message was that the private probation system could collapse—and municipal courts subsequently go broke—if the bill wasn’t passed. The support from judges illustrates the ways in which this system has become key to way justice gets funded in Georgia. Companies provide services—namely, supervision and collections—that counties might otherwise have to pay for. And the more these companies collect, the more money trickles into local courts’ coffers. After the judge in Augusta curbed the powers of the probation company, lower court judges who used private probation balked. In a brief to the court, they said that their courtrooms would be thrown into chaos if they no longer had the ability to sentence offenders to supervision or collect on outstanding court fees. “The administration of justice in Augusta will be devastated,” they wrote. Neither the sponsor of the bill nor the state’s Private Probation Association responded to requests for comment for this article. But the association told us previously that probation companies operate at the pleasure of the court. Judges, not the companies, set the terms of probation, sign warrants and send probationers to jail, the association asserts, and companies perform a vital service to cash-strapped municipalities. “We believe that private probation services provide an effective solution to deal with individuals who willfully violate the laws of the State of Georgia at no cost to the law abiding residents of Georgia,” Private Probation Association President Danna Philmon wrote us in an e-mail in February in response to inquiries about the Human Rights Watch report. If Governor Deal signs the bill—and many think he will—it will mark a twisted turn of events for those who hoped to reform the probation system in Georgia. Their win for the rights of poor probationers in that Augusta courtroom may have galvanized the industry to deepen its control over the very people advocates say are most harmed by the system. Editor’s Note: An earlier version of this piece mistakenly stated that an official with Sentinel Offender Services had testified in a deposition that the company spent roughly $500,000 on lobbyists in Georgia. In fact, it is not known how much the company has spent on lobbyists in Georgia. The piece has been updated to reflect this fact. Hannah RappleyeHannah Rappleye is an independent reporter living in Brooklyn, NY. She has reported in East and South Africa, and focuses her work on criminal justice and human rights issues in the United States and abroad. Her work has appeared on MSNBC.com, Salon.com, in the Mail & Guardian and The Wall Street Journal, among other publications. Lisa Riordan SevilleLisa Riordan Seville is a reporter based in Brooklyn, NY. Her work has appeared on MSNBC.com, Salon.com, The Daily Beast and The Crime Report, among other publications.